In the vast and complex music history, the female figure was generally limited in a sort of obligatory structure that allowed a little chance of affirmation. The women musicians could aspire to be refined performers, pleasant talents, composers with a public of devoted admirers in the domestic sphere. Rarely something more professional could increase the quality and quantity of their works in relation to the rapid development of the lexicon of the period. For these reasons, the work of Anna Bon, a mysterious and fascinating character of the Europe of the great courts, appears extraordinary. Anna Bon di Venezia (b?Russia, ?1739/40). Italian composer and singer. She was the daughter of the (?Venetian) scenographer and librettist Girolamo Bon (Boni, Bonno, Bono, Bonn, Le Bon, Buon, Bunon) and the Bolognese singer Rosa Ruvinetti Bon. In 1743, at the age of four, she entered the Ospedale della Pietà in Venice as a pupil. She probably rejoined her parents at some time during their engagements at St Petersburg, Dresden, Potsdam and Regensburg between 1743 and late 1754. By 1755 she and her family were in Bayreuth in the service of Margrave Friedrich of Brandenburg Culmbach and his wife Wilhelmine, sister of Frederick the Great. After Wilhelmine’s death in 1758 music at Bayreuth declined. In 1759–60 the Bon family all sang in opera performances directed by Girolamo in Pressburg. On 1 July 1762 the three Bons were contracted to serve the Esterházy court of Prince Nicolaus at Eisenstadt, where Anna remained until at least 25 April 1765 (Haydn wrote several roles for her mother). By 1767 she was resident in Hildburghausen, married to the singer Mongeri. 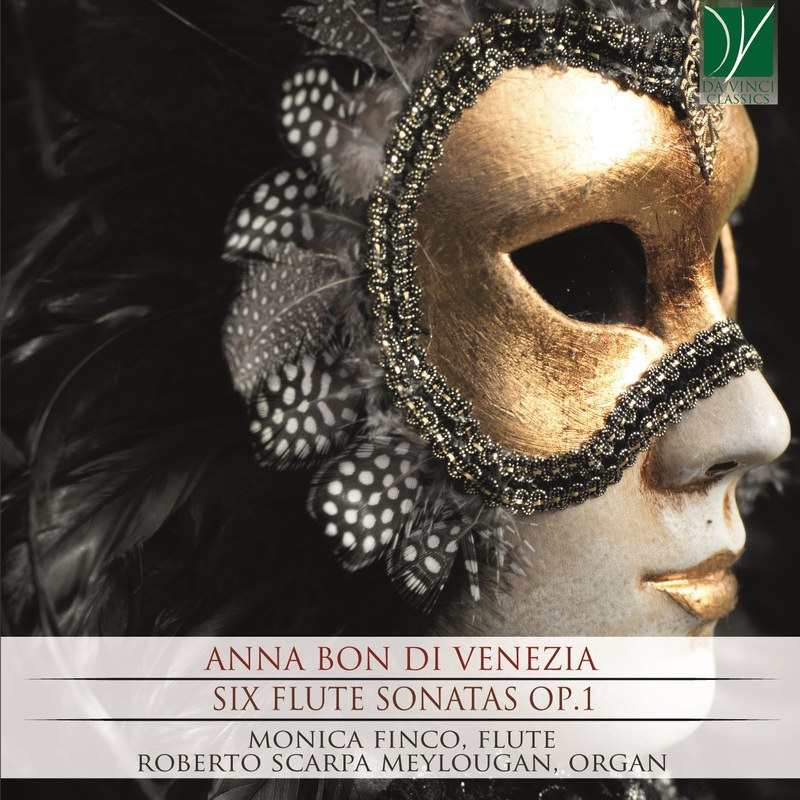 Monica Finco (Flutist): Born in Venice, Italy, began her studies in flute at the Benedetto Marcello Conservatory in Venice with Pasquale Rispoli at the age of ten and continued with Guido Novello. After graduating from the conservatory, she completed her studies with R. Greiss (Germany) and A. Marion (France). In 1981 she met the great Swiss flutist and teacher Conrad Klemm, who remained her guide in technique and style for many years. Gifted with a precocious talent for interpretation, she began her concert career as early as 17, and since then has performed as a soloist and in various types of chamber ensembles, with a repertoire which ranges from the baroque to the modern period. She has performed in numerous concerts at prestigious musical institutions such as Auditorium Parco della Musica in Rome, the Alessandro Scarlatti Society in Naples, Teatro La Fenice in Venice, Teatro Verdi in Trieste, and in festivals such as: Settembre Musica in Turin, Festival dei Due Mondi in Spoleto, concerts at the Auditorium Giuseppe Verdi in Milan, the Biennale in Venice, and many others. She has also appeared on special radio broadcasts on RAI Venice, Trieste, Milan, Rome and Turin. In France she has performed in Bordeaux, Brittany and Normandy, and was a guest at the Festival of Lille. In Austria she has performed at the Salzburg Festival and in Germany at the Guldener Autumn Festival of Early Music in Thuringen. She has played in the Teatro La Fenice Orchestra in Venice, the Filarmonia Regionale Veneta and the Sanremo Sinfonica. Numerous interviews broadcast on radio, TV, in music magazines and national newspapers. In 2015, 2016 and 2017 she was artistic director of the music Festival dei Colli in San Gemini, Italy. Monica Finco is Briccialdi Flauti Italia artist and italian friend and artist LefreQue sound-bridge. She cooperates with Sinfonica Edition for pedagogic projects. Roberto Scarpa Meylougan (Pianist) Composer and harpsichord musician, he graduated -organ, composition and pre-liturgical, liturgical singing- with highest marks from Conservatory “Benedetto Marcello” in Venice. He studied with M° Sergio de Pieri and W. van de Pol. He perfected studying in France with Jaen Guillou, Michel Chapuis, Jaen Patrisse Brosse and Gaston Litaize (harpsichord). His virtuoso technique on the pedalboard was particularly appreciated by Olivier Messiaen and Karl Richter. He has been playing an intense concert activity throughout Europe since 1978 and collaborated with many important international orchestras and artists such as Claudio Abbado, Daniela Dessì, Viekoslav Sutej, Sir Roger Norringthon. Aside from the Classical repertoire, Roberto Scarpa Meylougan arranges and composes pop and folk music as well: Francesco Renga, Andrea Braido, Marco Ponchiroli, Antonio Maiello just to mention a few. After attending various training experiences, he started his sound engineer, microphonist, recording director, audio editor activity. He has more than 150 albums on the record as a sound and recording engineer distributed all over the world by label such as Deutsche Grammophon, Universal, Philips, Decca etc. In 2006 he recorded Children. The solo album is part of his personal project for the revaluation and rediscovery of the organ as means of aggregation, of fun and to spread forgotten music, unusual and new repertoires. In 2009 he was invited to play at the Methuen Memorial Music Hall in Boston (U.S.A.). In the same year he was on the Sanremo stage, performing with Daniela Dessì and Francesco Renga. He attended several internships on organ art held by Piccinelli, Formentelli and F.lli Ruffatti whom he worked with on restoration and construction projects of various organs in Veneto. Since 2013 he has been working on the UNESCO project financed by various Hungarian authorities on organ sampling of the most prestigious instruments in Italy. The aim of the project is to create a multimedia sound library. He has recently started a tour with a virtual organ to promote the project. On October 31st, 2014 ha debuted in a concert in Schio (VI) with the piano with Double Borgato pedalboard. His teaching career is intense: organ, organ composition, audio, video editing e recording techniques and technologies, electroacoustic are only a few of his activities.